How many times have you been out and about and realized you had a mini-emergency on your hands and had to run out and buy something? Whether its your period starting unexpectedly, a blinding migraine, or a torn contact lens, there are many things that can wreak havoc on your plans. 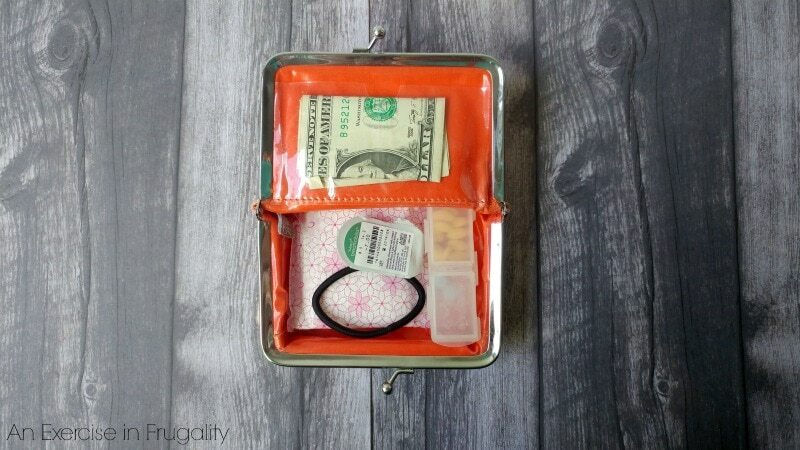 Unfortunately, we can’t prepare for EVERY single contingency, but with a little planning, you can create a kit for life’s little surprises to carry in your purse, backpack or diaper bag. This kit would also be perfect for any high school or college student for back to school! So what do you include in this kit? 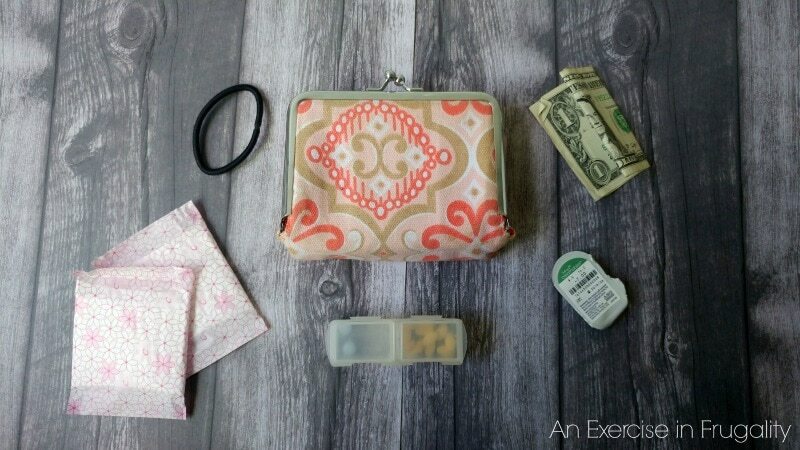 Largely it will depend on your individual needs, but I wanted to walk you through the kit I carry in my own purse. It’s actually made from a decorative pill case I found on Amazon a few years ago. The inside has eight divided pill compartments that come apart. I used two here so I had room for other stuff! You can make a larger or smaller case depending on your needs. Decide what the most common issues you have are. Do you suffer from allergies? 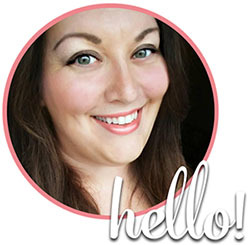 Are you a contact lens wearer? First of all, as I have talked about before, I have type 2 diabetes. While my blood sugar is well-controlled and within the normal range, I still have to be careful if I go too long between meals, my blood sugar will drop dramatically and I have horrible symptoms of dizziness, weakness, headaches and often panic attacks. For me this means I have to carry some healthy snacks at all times in case I am somewhere that unexpectedly causes me to miss or delay a meal. I also carry with me a small travel pill case with a couple of each of my medications so that if I am delayed, I don’t miss a dose. I also keep a couple pain relievers in there too, such as naproxen sodium or acetaminophen as well as a couple of my prescribed medications for panic attacks, just in case. I am also a contact lens wearer, and without some type of corrective lens, I am way past being legally blind. That means I can’t walk anywhere (let alone drive) without my lenses. So I like to keep a spare in my kit in case one rips. The likelihood that BOTH lenses will be unusable at the same time is slim, so I only carry one, but you could put two in there if it makes you feel better. Some people also carry a small bottle of multi-purpose solution. 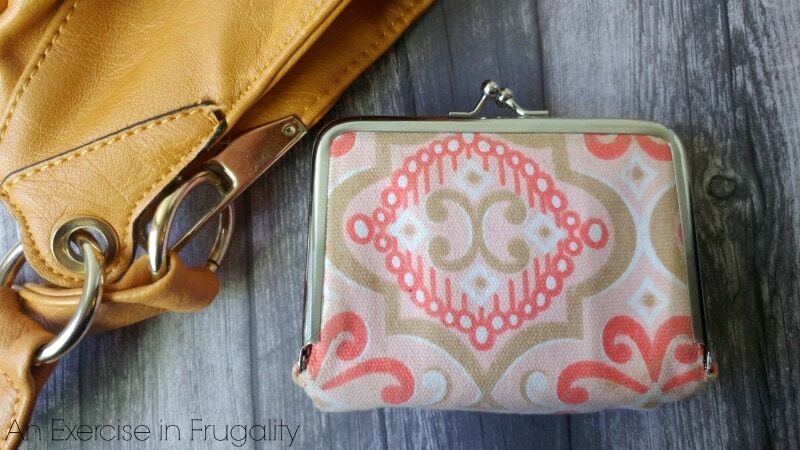 I like to keep a small stash of feminine hygiene products in here as well. 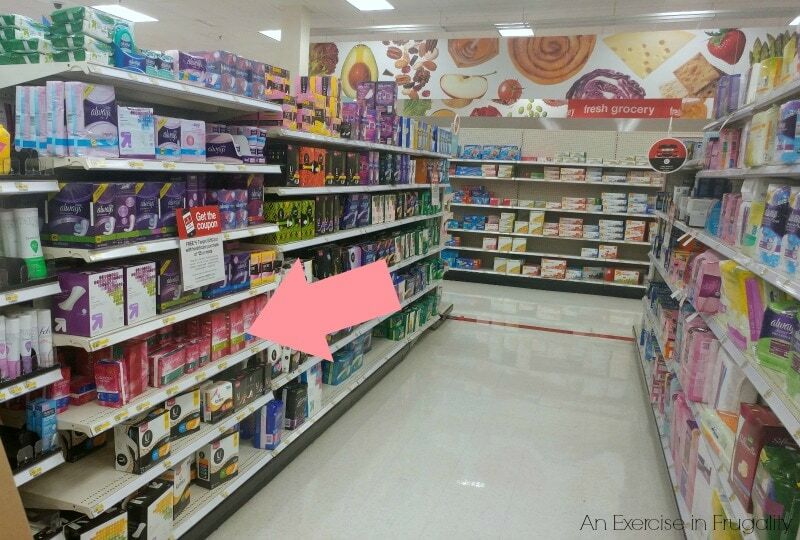 Tampons are great to have, however (TMI alert) my periods are often too light to warrant a tampon when they first start. 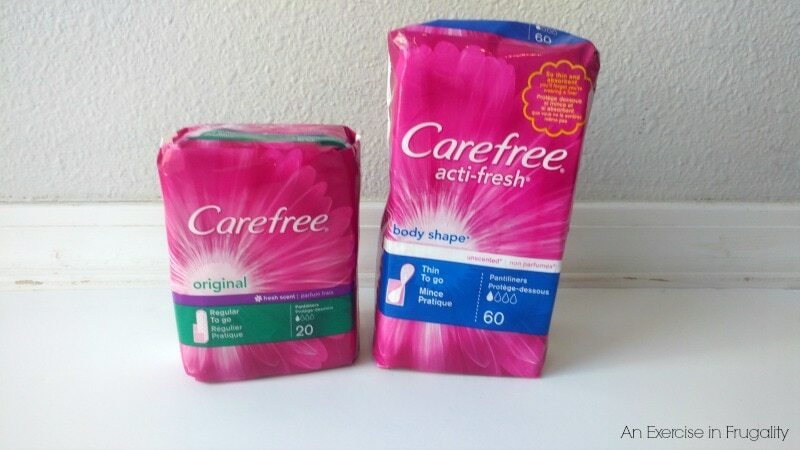 So I also keep a few Carefree® Acti-fresh® Thin and Carefree® Original Regular liners on hand. They are so tiny and discreet, especially the thin ones, that they can easily be stashed in your kit or even in your wallet or back pocket. This way you’re never caught unprotected, and you never ruin your cute undies! I can remember SO many times in high school when one of “life’s little surprises” caught me off-guard and I had to run around asking friends if any of them had a Carefree liner. It’s embarrassing, and its worse if you don’t have anyone around to borrow one from! Let’s just say, sometimes your period will “crash the party”. Even though I’ve been dealing with good ol’ “Aunt Flo” for something like 23 years, she still knows how to surprise me at times. Right now, there’s a great Target Cartwheel offer for 10% off all Carefree liners through August 7th so it’s a great time to stock up for life’s little surprises! I like keeping my kit in a small pencil pouch or makeup bag. This way, everything is self-contained, and I can quickly move it between my purse, laptop bag or carry on suitcase depending on where I need to go. This kit is perfect when travelling, especially on the airlines because you never know when a delayed or cancelled flight is going to put a wrench in your plans. I learned early on (as the daughter of an airline employee who traveled constantly growing up) that you NEVER leave yourself without essentials in your carry on. Putting your medications or all your feminine hygiene products in your checked luggage is like flirting with disaster. Pack one of these kits up to take with you in your purse or carry on. You’ll thank me later! 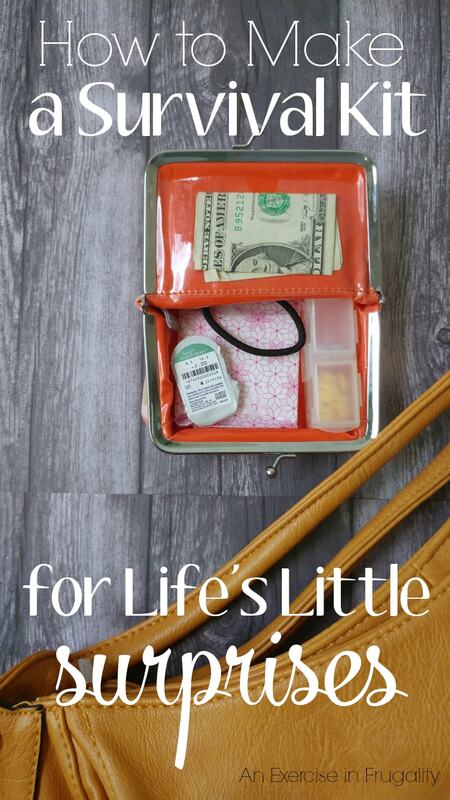 What do you carry for life’s little surprises? After 9-11 and the cascading blackout that hit a couple years later may I suggest a roll of quarters in case cell towers are down, comfortable shoes if you have to walk long distances, and a bottle or 2 of water. I know this isn’t small or discreet items, but in cities they can be essential in an emergency.